You can consume this meal whenever you like during the day, but this tasty recipe is perfect as a breakfast. 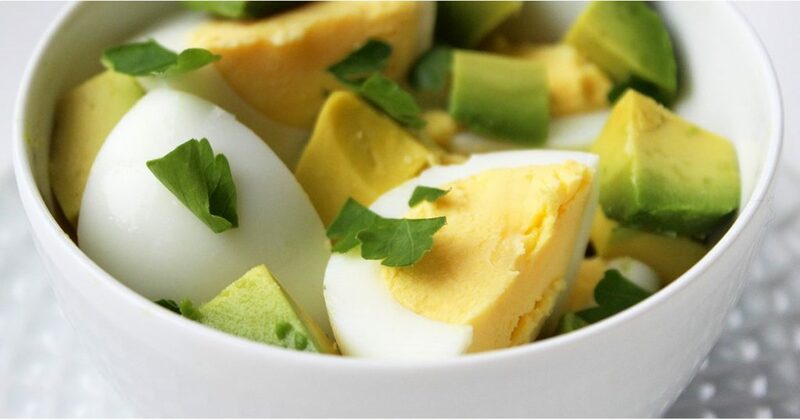 Just mix an egg with veggies and this inexpensive meal will definitely satisfy your needs. Get the recipe here. The Greek yogurt is a healthy way to consume lots of protein and avoid meat and eggs. Therefore, just add a fresh cantaloupe in the yogurt instead of the sugary granola, and some fresh berries. Get the recipe here. This simple and tasty recipe will help you get a flatter belly and fight the stomach bloating. Get the recipe here. We all just love smoothies- they are easy and lovely! This smoothie has about 350 calories and 15 grams of protein, so it is excellent for supporting the weight loss process. Get the recipe here. These hotcakes use almond meal and flaxseed and do not contain wheat and sugar. However, they are rich in protein and fiber. Gete the recipe here. This gluten-free quinoa bake is rich in fiber and protein, and you must try it as soon as possible! Add a couple spoonfuls of Greek yogurt to help digestion to the cinnamon-spiced apples, raisins, and crunchy almonds. Get the recipe here. This healthy breakfast is high in protein, fiber, omega-3s, and low in sugar. Get the recipe here. This breakfast can help you lose weight and also fight the sugar cravings. The chia pudding is another healthy option for your morning meals. Get the recipe here. This highly nutritious breakfast contains more than 10 grams of protein per serving, and lots of other nutrients, but is low in calories. Get the recipe here. This elegant, low-calorie meal will support weight loss as it is rich in protein, and contains egg whites, feta, spinach, onion, and peppers. Get the recipe here. You can bake this meal in the night, and have a slice in the morning, which will provide lots of body energy for the day, and nutrients like iron and calcium. Get the recipe here. This mouth-watering Southwestern tofu scramble can be prepared ahead of time and stay in the fridge for several days. It combines the flavors of peppers, onion, cilantro, cumin, and coriander. Get the recipe here. These exquisite bars provide 20 percent of your daily fiber intake, lots of iron, and less than 200 calories. Get the recipe here. This breakfast can be prepared in less than 10 minutes and it will keep you full until the lunch, and energetic during the entire day. It is high in omega-3 fatty acids and protein, low in carbs, and contains 335 calories. Get the recipe here.